The Renault Kangoo is a long-standing competitor in the small van segment. This second-generation version went on sale in 2008, replacing a model that was first introduced back in 1998 – so it has a well-established pedigree, and Renault is clearly confident the Kangoo formula works, given how long it takes the French firm to get around to replacing it. 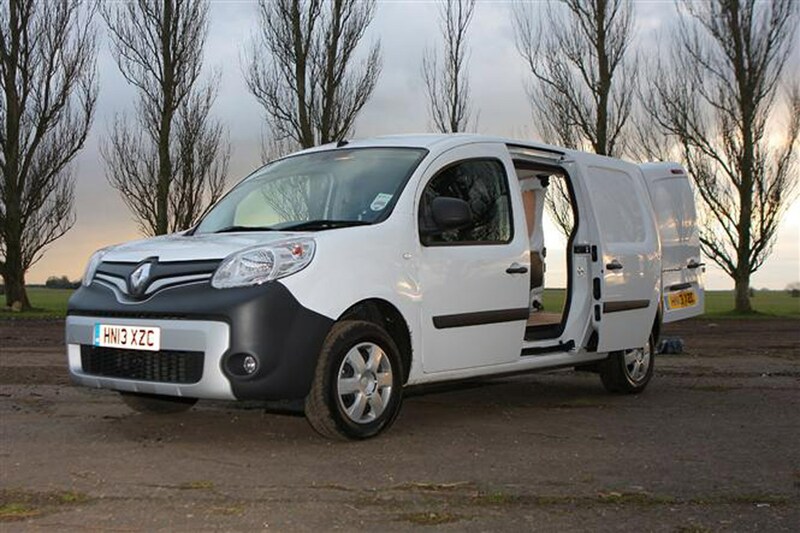 Could the Kangoo be the small van for you? The Parkers Vans full review aims to help you find out. Competition in this area of the light commercial vehicle (LCV) market is tough. While the Kangoo is exceedingly popular across Europe as a whole, small van sales in the UK are traditionally dominated by the best-selling Ford Transit Connect, and the one-two punch of the Citroen Berlingo / Peugeot Partner twins. 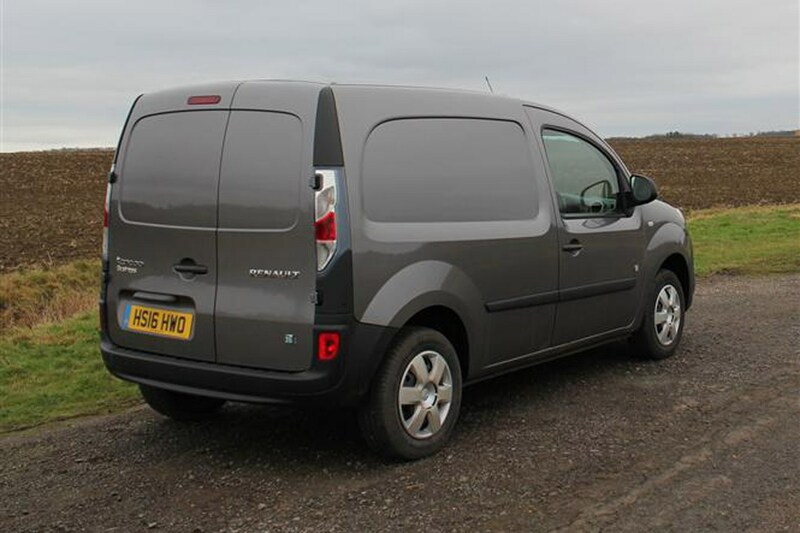 Other worthy choices include the Fiat Doblo Cargo and Vauxhall Combo – another closely related pair, which both score highly for payload capacity – while the Nissan NV200 has the largest load volume of any small van. Those looking for a slightly higher class of small van will naturally be drawn to the VW Caddy; Mercedes’ small van is the Citan, but this is a variant of the Kangoo and built in the same factory in France. Given all of the above, how does the Kangoo make itself stand out? The Kangoo range is certainly comprehensive. Renault offers a standard and a longer Maxi bodystyle, and both regular panel van and crew van configurations – the latter including a second row of seats for carrying more personnel. A super-short Kangoo Compact model was also available originally, but this was dropped over time due to lack of customer interest. This neatness of purpose is reinforced by a selection of clever load managing features – for instance, the Kangoo is available with a multi-position bulkhead, a swivelling bulkhead and even a load-through hatch in the roof. Continuing this theme of versatility, in addition to the expected turbodiesel engines, the Kangoo has also been available as an all-electric van since 2011 – in fact, the Kangoo ZE was the first production electric van. Though others have followed suite with electric vans of their own, Renault has moved beyond them again in 2017 with the Kangoo ZE 33 upgrade, which has by far the longest driving range of any electric van on sale. As such, the Renault Kangoo ZE 33 was a recommended runner-up in the Best Van category in the Parkers New Car Awards 2018. ZE 33 aside, the Kangoo struggles against rivals that offer better fuel economy and greater load capacity, harming both its running costs and its practicality. And though it fights back with good value – including a four-year warranty – it’s hard to escape the conclusion that there are better small van choices. 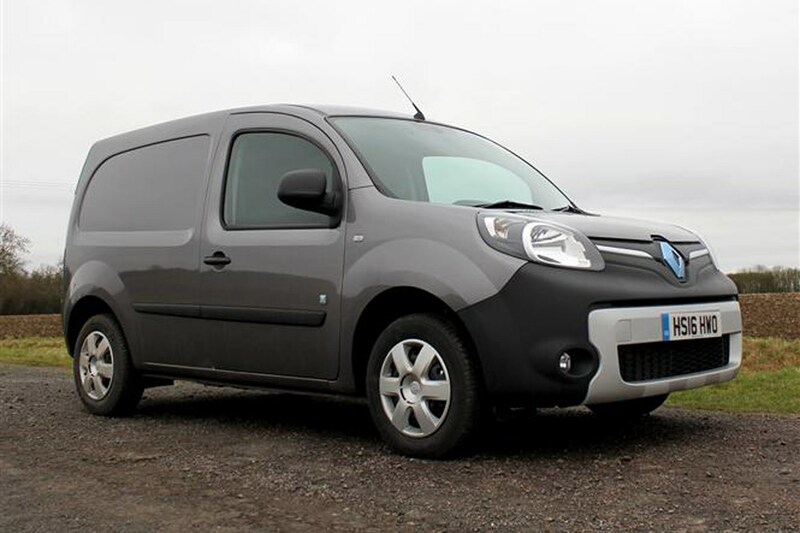 Keep reading for the full Parkers Vans review of the Renault Kangoo. The Kangoo launched with a choice of petrol and diesel engines, while the all-electric ZE model was introduced in 2011. The petrol engines, which as non-turbo units typically felt under-powered and out of their depth in a van, were phased out over time, leaving a choice of three turbodiesels, all based around Renault’s long-serving 1.5-litre dCI engine. Initially power output was rated at 70hp, 90hp and 105hp; with the upgrade to Euro 6 emissions compliance in 2015 the top and bottom choices received a 5hp boost. 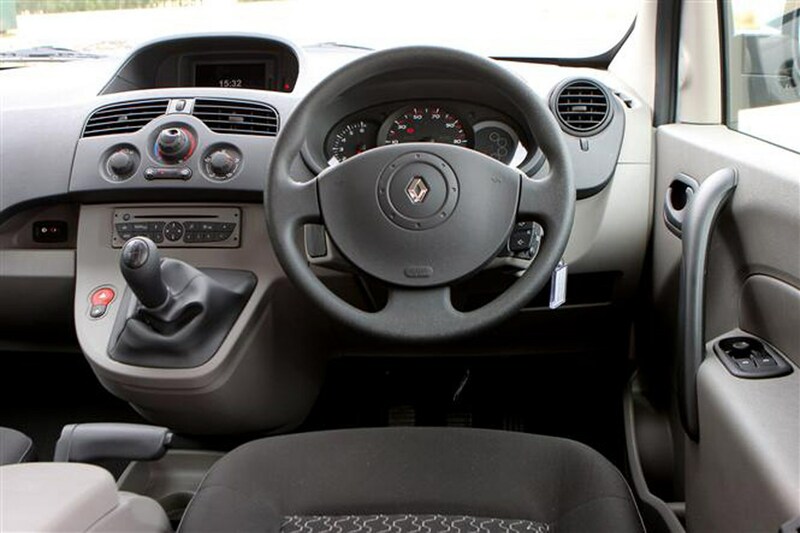 Renault is still enhancing the Kangoo even now; alongside 2017’s new and improved ZE 33 all-electric model – which you can read a full review of by clicking here – the same year has seen the introduction of a new EDC automatic transmission. This Efficient Dual Clutch auto is similar in operation to Volkswagen’s DSG, and is far more sophisticated than the four-speed conventional automatic available when the Kangoo launched in 2008. What’s the Renault Kangoo van like to drive? 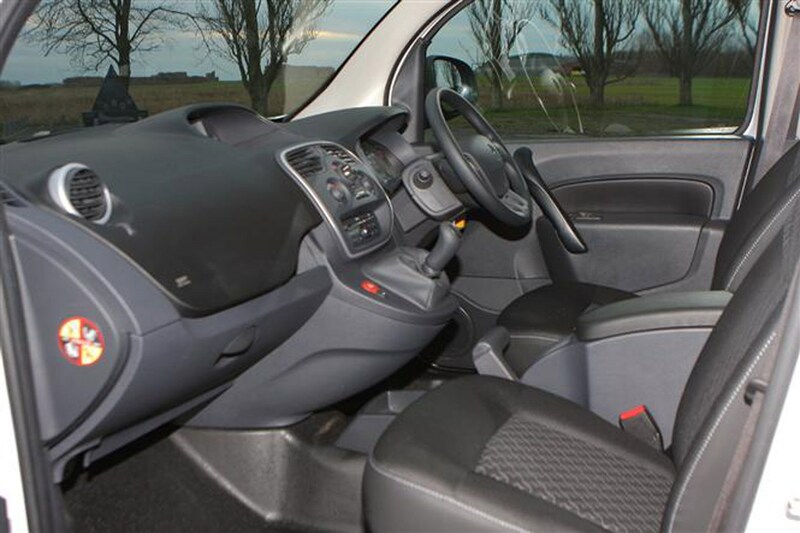 Much like the design of the cab, the Kangoo’s driving experience does the job but isn’t likely to excite you. The steering and pedals are light, and it feels nimble enough around town. But you’ll find you have to put plenty of effort into turning the steering wheel before the van actually changes direction, and the manual gearbox seems more interested in putting up a fight than cooperating smoothly. Ride quality is relatively comfy, but the softness here also translates into quite a bit of body roll in the corners. Refinement – or the lack thereof – means this is quite a noisy van to drive fast, particularly in open-bulkhead versions where there’s only metal mesh between you and the echoing load area. Is the electric Renault Kangoo any good? Counter-point to much of this are the ZE electric models, which are far quieter and offer the simplicity of a single-speed transmission – which acts just like an automatic – as standard. The electric motor’s instant torque and energy-recovering braking effect whenever you lift off the accelerator make them easy to drive, too, especially around town. Although they do run out of steam at higher speeds or when faced with a particularly big hill. 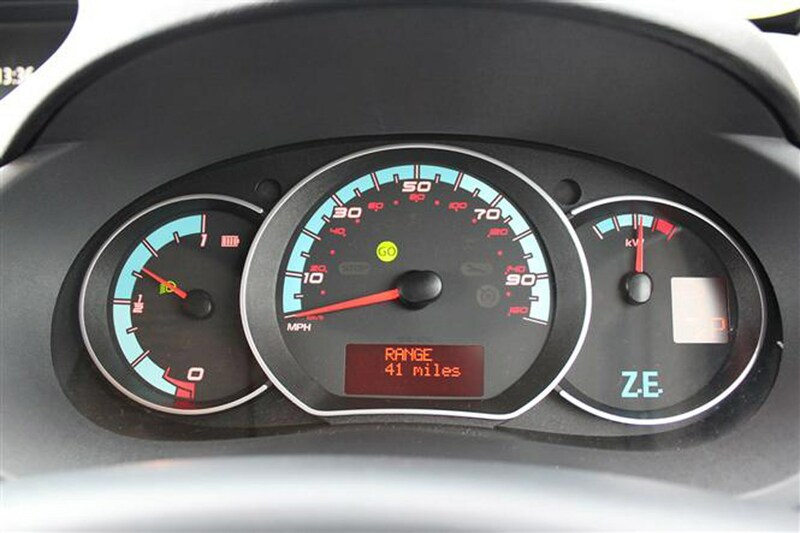 Still, so long as you don’t have too far to go – even the newer ZE 33 model barely travels 100 miles in the real world between charges – and can cope with the potential for range anxiety, the electric Kangoo is arguably the best Kangoo. Having a large battery pack beneath the floor even helps the handling in the corners, and because it is beneath the floor you don’t lose any load capacity, either. Fair to say the Renault Kangoo is not blessed with the most inspired cab design. It’s spacious, yes, and with a high seating position and large windscreen there’s plenty of forward visibility. But the look of the interior is exceptionally bland, and the quality of the plastics suggest it was all built to a price that would make it fit for purpose and absolutely nothing more. Still, the controls and instruments are familiar items from the Renault parts bin, which means they’re generally clear and easy to operate. Standard equipment is typically generous too, but the steering wheel is only height adjustable – so you may find it more difficult to get comfortable versus vehicles that also offer reach adjustment. Some of the details are a bit daft. Option the Renault sat-nav infotainment system for example, and it retains its touchscreen capability, even though the screen is tiny and buried deep within the dashboard where it’s impractical to reach. In other words, the Kangoo will get the job done, but you probably won’t be overly keen to take it home and introduce it to your family. Competitive pricing including generous standard equipment, plus a four-year, 100,000-mile warranty on the latest versions makes the Kangoo a solid value for money proposition. Euro 6 models have two-year / 24,000-mile service intervals (earlier versions were two years or 18,000 miles). And they meet the latest emissions legislation without using AdBlue, saving you the expense of keeping that topped up. There is some concern from emissions testers about the longevity of the NOx trap system used instead of AdBlue, however, and in reality it’s likely a van with an efficient AdBlue system will be cleaner. The Kangoo’s 1.5-litre turbodiesel engines may be old, but they remain impressively fuel efficient, helped by the introduction of stop-start technology in 2013. A claimed best of 65.7mpg places it within the top five small vans for fuel economy; click here to see the full list. Be warned that the Kangoo EDC automatic introduced in 2017 is around 10mpg less efficient than manual gearbox equivalents – though it should also save on clutch replacement costs. In theory. If you really want a cheap van to run and have a predictable daily distance that fits within the vehicle’s capable range, the ZE electric version of the Kangoo should give you much lower per mile ‘fuel’ costs than diesel. Even the servicing should be cheaper, as there are fewer moving parts, and if you drive them well, electric vans are lighter on brakes. However, the purchase price is higher, you may need to lease the battery separately (though Renault does also sell complete vans now) and, as with all electric vehicles (EVs), depreciation can be a worry. For more information on the pros and cons of electric vans click here. The Kangoo has been on sale since 2008, and has been updated several times since then – chopping and changing the availability of trim levels and variants throughout. At one point the top trim level was Sport, for example, but as of mid-2017, the only choices are Business and Business+. Here’s what you get in the way of standard kit. The longer Kangoo Maxi vans get twin side loading doors, while the shorter standard Kangoo only gets a single sliding door on the passenger side. 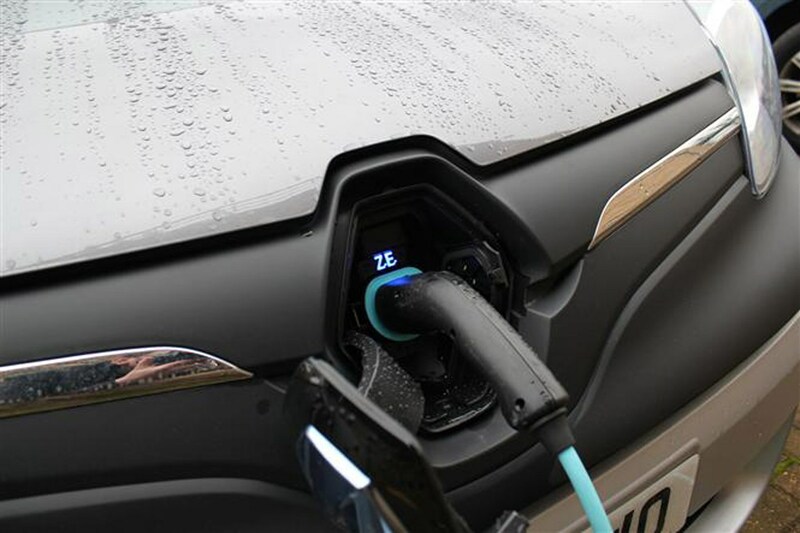 The Kangoo ZE electric van gets bespoke instrumentation, plus charging port, charging cable and a pre-heating function (allows you to heat or cool the cabin while connected to the mains to preserve battery power for driving). Kangoo Crew vans get split-folding rear seats and a multi-position bulkhead as standard; they also get twin sliding side doors but you have to pay extra if you want these glazed (which seems a bit unfair on the backseat passengers). A Kangoo Formula Edition was added to the range as a special edition in late 2017. Click here to read a reivew of this. 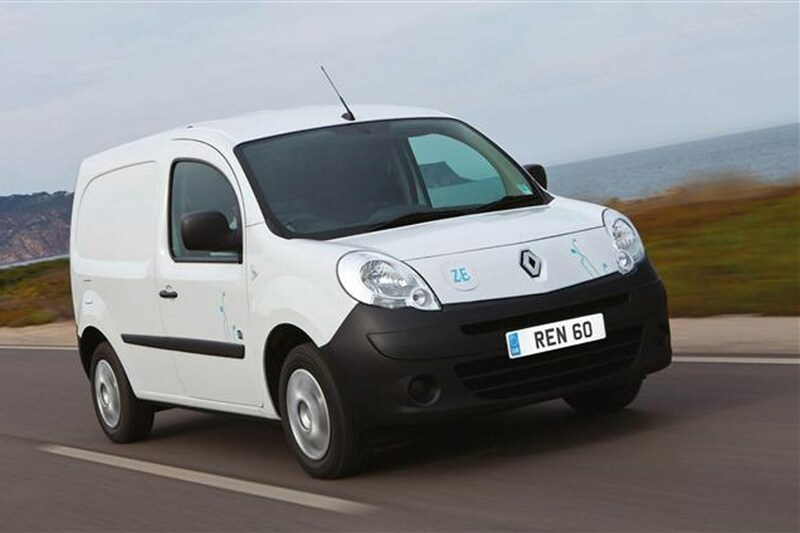 While the durability of Renault cars has often been questionable in the past, improvements over recent years should hold Kangoo reliability in good stead. This is one of Europe’s top-selling vans and has been in production for a long time, so Renault must be keeping owners happy. Renault does also offer specialist light commercial servicing through its Pro+ network should the worst happen – the advantages of this over a regular Renault car dealership are extended opening hours and the ability to turn up without an appointment. The Kangoo’s safety provisions can just barely be described as adequate by modern standards. As you’d expect of a van launched in 2008, while earlier versions did get a driver’s airbag as standard, electronic stability control (ESC) was only optional. This was rectified during a mid-life facelift in 2013, when ESC was made standard across the range. It’s not quite your average system either, as it also featureshill-start assist and a Grip Xtend button. Grip Xtend relaxes the stability control’s intervention enough to cope with setting off on slippery surfaces, such as loose gravel or snow. You do still have to pay extra for an airbag for the passenger, however. Though if your ‘passenger’ is usually parcels or other goods, that probably makes sense. How safe is the Renault Kangoo Van? The passenger version of the Kangoo did receive a four-star Euro NCAP score, but this was back in 2008 when the testing regime was much less severe than it is now; the closely-related Mercedes-Benz Citan small van received three stars in 2013, and again the test has been made more difficult since then. What’s more, even Mercedes called this result ‘not satisfactory’. 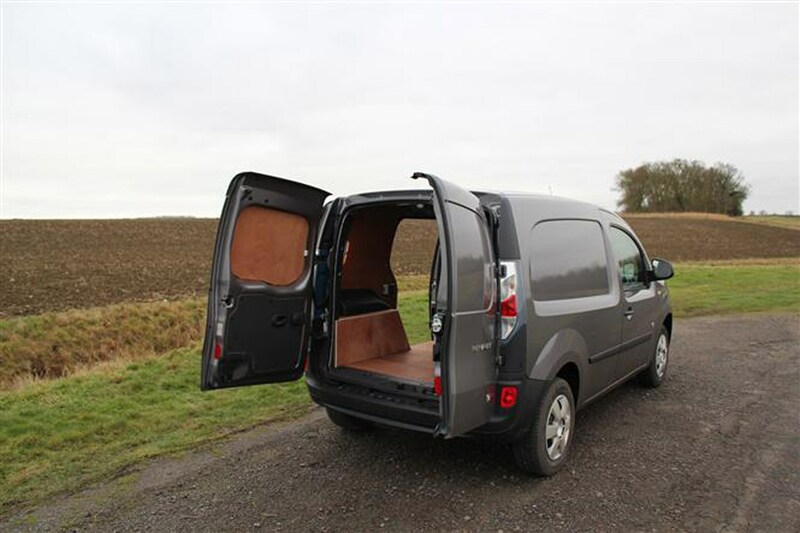 So if you’re looking for a particularly safe small van, we’d recommend going for a much newer model such as the VW Caddy (launched in 2015) or the Ford Transit Connect (2013). Still, from 2015 all versions of the Kangoo were upgraded to include a full steel bulkhead – or a multiposition metal mesh bulkhead in the case of the Crew van. How secure is the Renault Kangoo van? Deadlocks, remote locking, an immobiliser and the Renault Anti Intruder Device (RAID) are all standard on the latest versions. You’ll have to pay extra for an alarm, however, and with theft from vans on the rise we’d always recommend this and the most comprehensive set of toughened locks you can afford. Which Renault Kangoo is best for me?